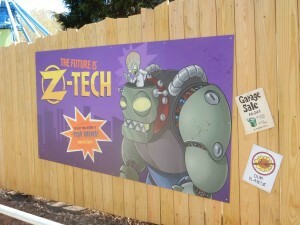 When Carowinds hinted at a second attraction coming to the park in 2016 during the Carolina Harbor announcement last fall, (and then officially announced that the new attraction would be called Plants vs. Zombies Garden Warfare: 3Z Arena in October), people were genuinely curious as to just exactly the new attraction would be. 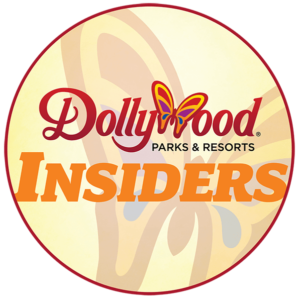 Today, Coaster101 and other members of the media found out exactly what the “World’s First Intra-Active 3D Attraction” would entail during a preview event today. We entered the south gate prior to the event’s 11:00am start time, and walked under Afterburn towards Carowinds’ County Fair area. The exterior of the park’s former Action FX theater has been completely transformed to resemble something out of the Plants vs. Zombies universe. 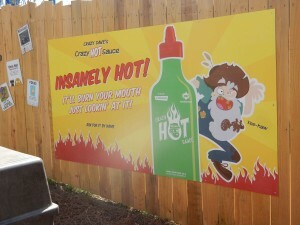 The ride’s sign actually rotates with three different messages. 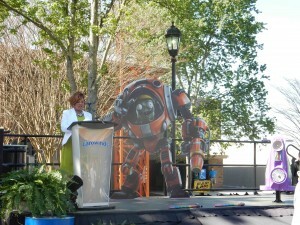 A stage was set up in front of the attraction, and there was a “Super Brainz” walk around character posing for photos with those in attendance. 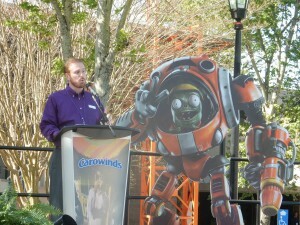 The presentation began with new Carowinds Vice President and General Manager Brad Marcy welcoming the crowd. Marcy, who has worked in the theme park industry for the past 20 years, told us that “every year since college,” how excited he got for each upcoming season, and that with everything coming to Carowinds in 2016, this was no exception. 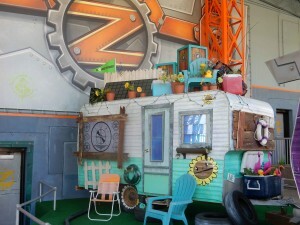 Jeremy Vanhoozer of PopCap Games, the company behind the Plants vs. Zombies franchise was last on stage before the ride was officially opened. 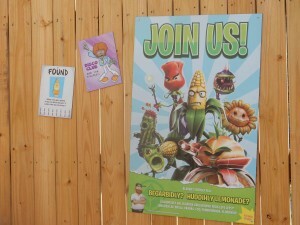 He told us that he was excited to experience the Plants vs. Zombies universe like he had never been able to before. After some confetti, the ride was officially opened for those in attendance. 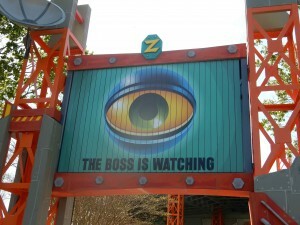 The first thing I noticed about Plants vs. Zombies was the incredible attention to detail that Carowinds paid when transforming the old Action Theater. 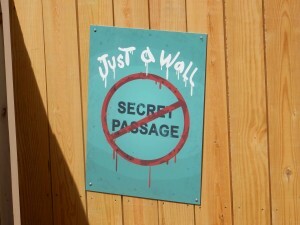 No stone was left unturned, and this was first noticed in the extended queue line for the attraction. 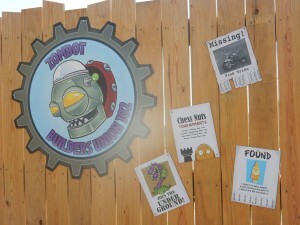 Numerous references were made to the Plants vs. Zombies franchise along a wooden fence. 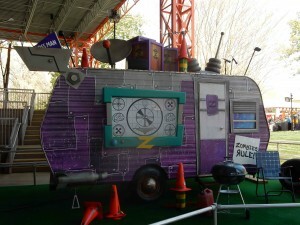 Once we arrived at the show building, themed to Dr. Zomboss’ warehouse, there were two RV’s parked out front, one each for Plants and Zombies. 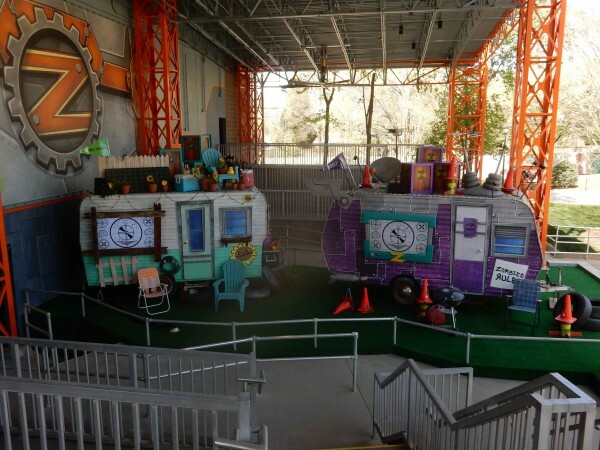 There was a ton of very intricate detail on these RV’s — definitely the most in depth theming that I’ve ever seen at Carowinds. 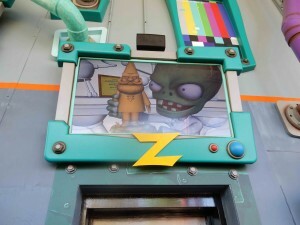 Above each row is a heavily themed television monitor where Dr. Zomboss gives riders a back story and briefs them of their objective before entering the theater. 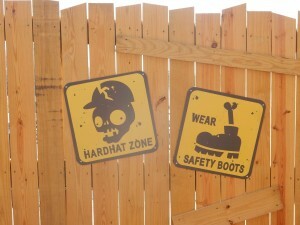 Riders are divided up into two teams; plants and zombies, and this all depends on which portion of the line you are standing in. Each of the attraction’s four rows has spaces for both teams. Inside the theater, your individual ride vehicle (tough to describe exactly, but I’ll go with “a miniature mechanical bull”) has colors reflecting which team you’re on. The objective of Plants vs. Zombies is to collect golden gnomes while fending off the opposing team. 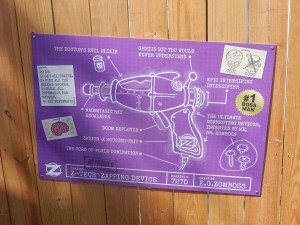 Armed with your blaster — a purple Dr. Zomboss creation for the Zombies side, and a green bottle of “Crazy Dave’s Hot Sauce” for the Plants, you are given a brief period to practice before the game starts. This portion of the ride requires a bit of a learning curve, because with all of the blasters firing at the screen, it’s tough to tell which dot is your dot. The blaster vibrates when you make a direct hit. There were three different “zones” in the attraction, and speaking from experience on the “Plants” side, there were zombies everywhere for you to attack. 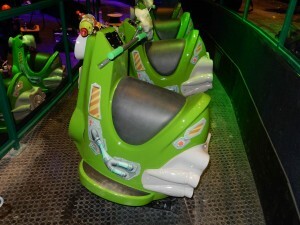 The ride vehicles have a few degrees of tilt forward and backward, and when they moved for the first time, there was a collective “ooohh” from all playing. Team Plants won the first battle, and if no one else is taking credit for it, I’ll say it was largely because of my 8,600 points in the first round. As you exit the 3Z Arena, there is an electronic leaderboard featuring high scores from the match, as well as the all-time high scores. 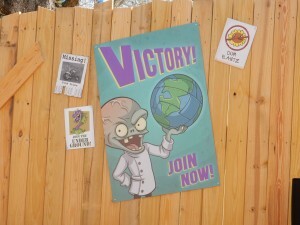 Then, in true theme park fashion, you exit through the gift shop, which has a wide variety of Plants vs. Zombies merchandise. This gift shop was formerly an arcade. 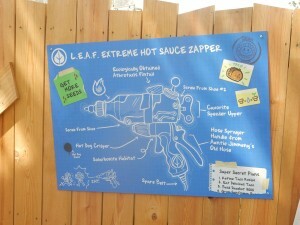 Based on my experience, I think Carowinds has a hit on their hands with Plants vs. Zombies Garden Warfare 3Z Arena. 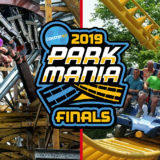 This is going to be a great attraction for families who aren’t ready to tackle some of Carowinds’ larger roller coasters. 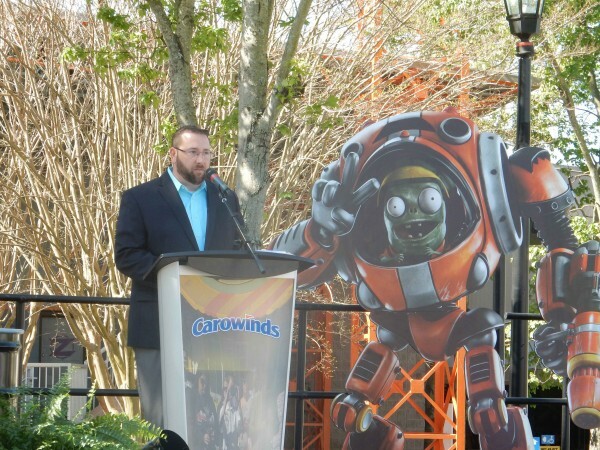 Plants vs. Zombies Garden Warfare will be a Fast Lane Plus Attraction at Carowinds. 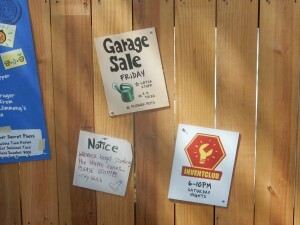 The attraction is currently in beta testing, but is open to all park guests. 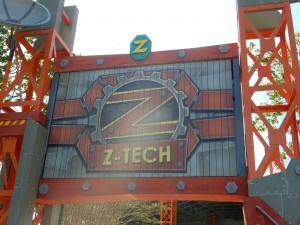 It will receive continued updates to perfect the ride experience. 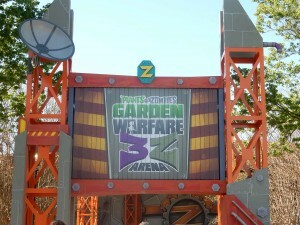 For more information about the Plants vs. Zombies Garden Warfare 3Z Arena, be sure to check out Carowinds’ website and follow the park on Facebook and Twitter. 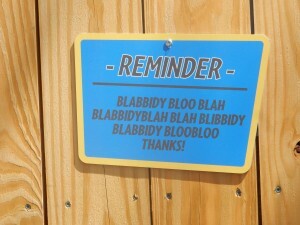 And be sure to stay tuned to Coaster101.com for more great Carowinds content. 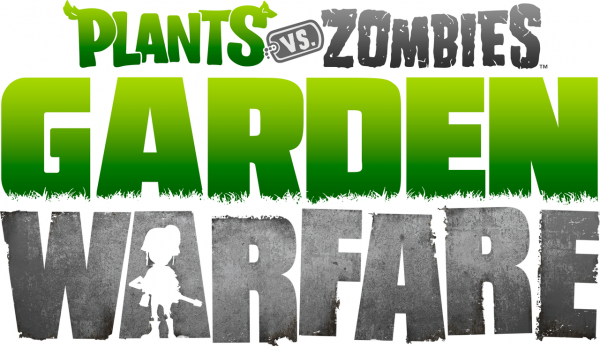 Are you excited to experience Plants vs. Zombies Garden Warfare 3Z Arena? Let us know in the comments below. 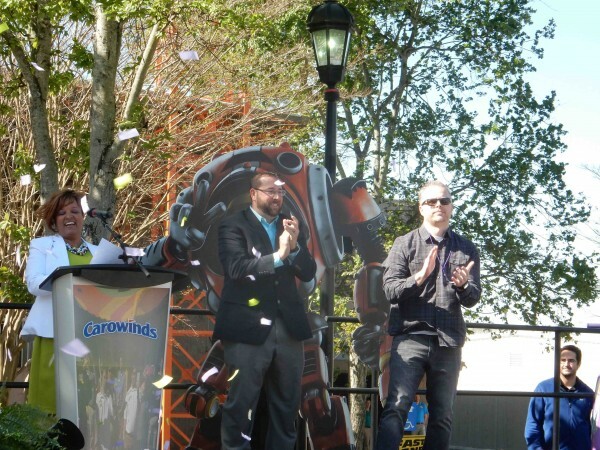 Charlotte, N.C. (March 23, 2016) – Carowinds and PopCap Games – creator of one of the world’s most beloved video game franchises, and an Electronic Arts (EA) studio – announce the biggest, baddest battle in the universe as the world’s first intra-active 3-D digital experience, Plants vs. Zombies™ Garden Warfare: 3Z Arena, debuts to the public on March 25. 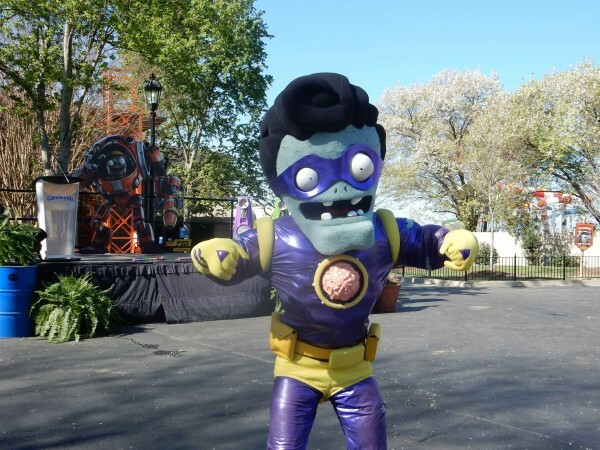 This state-of-the-art attraction, designed exclusively for Carowinds, is based off the Plants vs. Zombies™ Garden Warfare franchise – a hilarious and over-the-top videogame series that includes the critically-acclaimed Plants vs. Zombies™ Garden Warfare 2, now available in stores and for digital download on Xbox One, the all in one games system from Microsoft, PlayStation®4 computer entertainment system, and Origin™ for PC. The fate of the world hangs in the balance in Plants vs. Zombies™ Garden Warfare: 3Z Arena, as the evil genius Dr. Zomboss (the leader of the zombie horde) makes his newest attempt to collect all of the world’s brains. Having secretly overheard Crazy Dave, heroic horticulturalist and sometimes-brilliant nemesis, mention “golden gnomes”, Dr. Zomboss decides he must seize the mysterious power of the gnomes for himself via a challenge to Dave and the plants! Players will step into the biggest, baddest battle in the universe as Team Plants and Team Zombies go head-to-head in a quest to collect the most golden gnomes, while traveling through time and space, and theme parks. Players will mount up on one of the 68 motion-based seats, which rock forward and backward nearly eight degrees in each direction, all the while shooting from a hand-held laser device at a 14’6” x 26’ screen. 3-D glasses provide an enhanced reality and added effects for players. 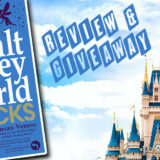 The stakes are high as the respective teams attempt to overtake their foes. 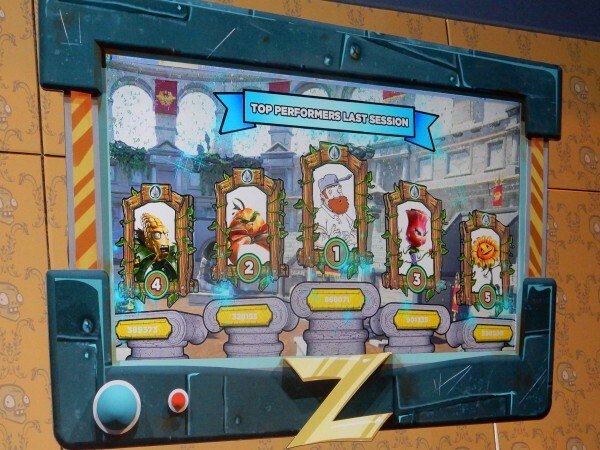 Plants vs. Zombies™ Garden Warfare: 3Z Arena is located in the newly renovated Action Theater in the County Fair section of the park. Ww found it a fun way to relax, sit down for a minute and get in to cool off. There is certainly a competitive feel from each side of the theater.